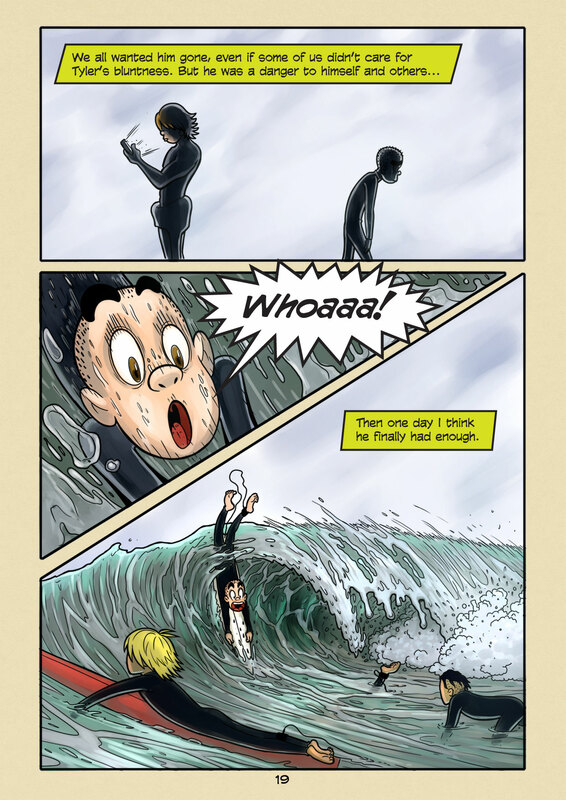 Enough (#019) | Web comic "Surfer Joe"
How much can one person take before they’ve had enough? When is it considered ok to throw in the towel on your dreams? Is it ever? I can’t really say for sure. Though there was definitely a span of 2 or 3 years where I seriously considered it. My living situation was such that I had all the comforts anyone could ask for. I had a fun job making cartoons, it was stable and it payed well. I have a family of 5 to support as well which made the job even more attractive. I had been working nights and weekends on personal projects but not really getting anywhere. There was a voice in my head that kept getting louder and more convincing the older I got. It would tell me that I was being selfish for wanting something that could potentially put my family’s well being in jeopardy. It would tell me that I had a good job, that payed well. I was in good standing with my employer, and well liked by coworkers. It told me that I had earned the right to enjoy myself in my spare time instead of slaving away on personal projects that seemed impossible to get off the ground. Surfing became a wonderful distraction for me. It was a blast, and I could do it without any delusions of it going anywhere. When I was surfing was the only time I was able to exist in the present(because if you’re not then you are toast!). It eased the pain that came with no longer enjoying creating art of any kind. I almost did it, and if I had it may have worked for a time… Little did I know that the roof was about to cave in on me. But that is a story for another blog post.